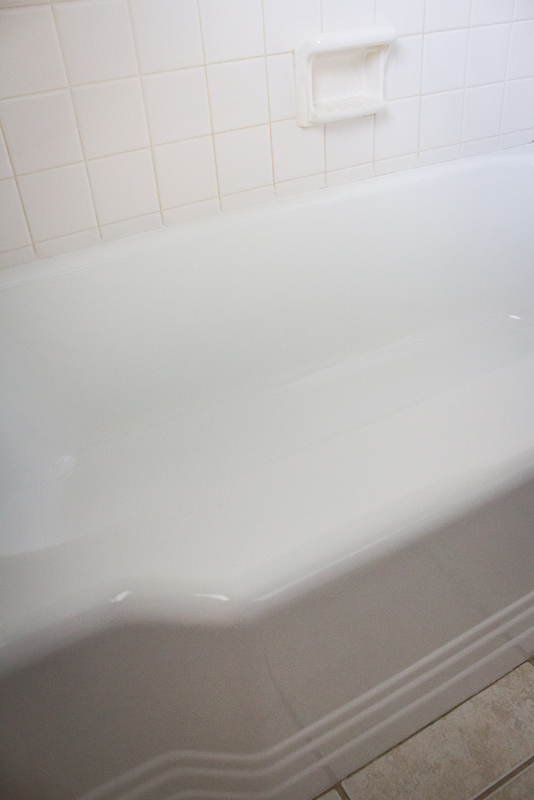 How long does it normally take to reglaze a standard tub? The process normally takes between 5 to 6 hours. How long do I have to wait before I can use the tub? Our glaze has a 24-hour usability (in most situations). We exhaust through a window fan or a powerful 2,500 cfm suction fan. While you may smell a slight odor, it will dissipate in a couple days. Should I do anything before Sustainable Bathroom Refinishing arrives? If there are any leaks in the tub or shower faucets, these must be repaired first. Also, we ask that you remove any soap scum on the tub or tile. It is also best if the tub/tile is able to dry overnight before we arrive. How long does the refinished tub last? With proper cleaning and some simple, regular care it should last for many years.